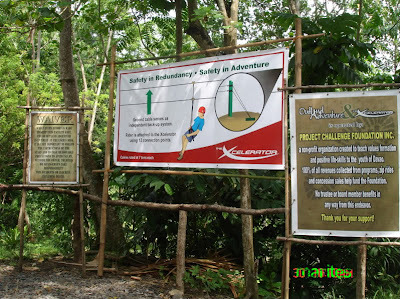 Outland Adventure Camp’s Xcelerator Zipline is a kilometer long dual-cable speed zipline about 200 feet above the ground making it the largest ropes course facility and the longest and fastest zipline not only in the Philippines but in Asia as well. The facility uses state-of-the-art standard safety equipments certified and imported from the U.S. 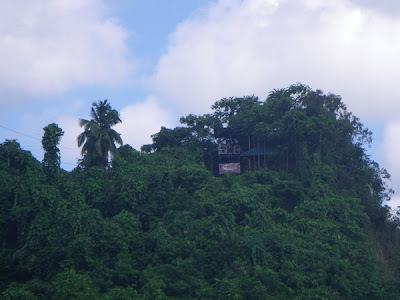 It is situated in a 17-hectare private nature sanctuary in the village of Bugac, Diversion Road Ma-a, Davao City. 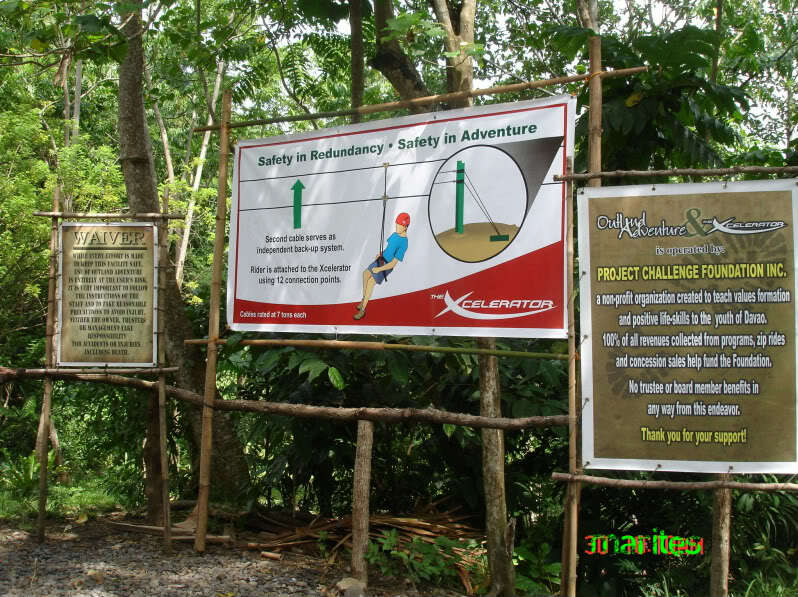 Outland Adventure Camp is owned and operated by Project Challenge Foundation, Inc. in Davao City, a foundation duly registered with the Securities and Exchange Commission. 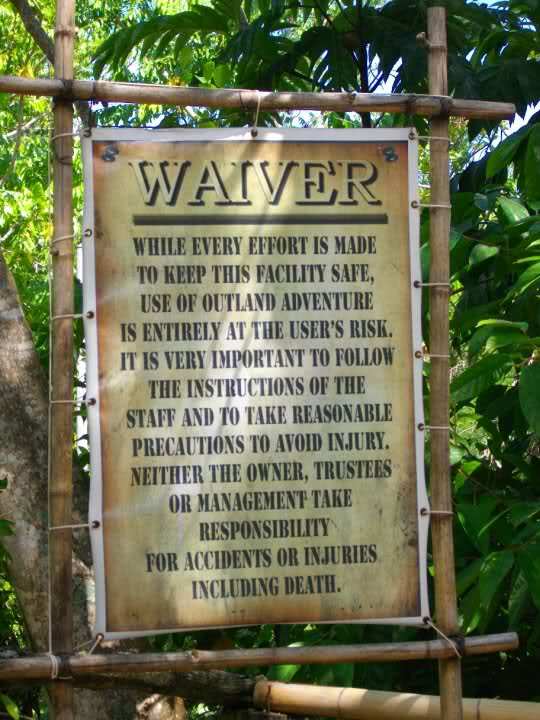 Board members of Project Challenge Foundation, Inc. does not receive financial compensation or fringe benefits from Outland Adventure programs and rely entirely on donations and revenues generated form corporate clients for the daily business operation of the facilities. Their incorporation documents and by-laws are on file for public viewing at the local Davao City Securities and Exchange Commission (SEC) office. 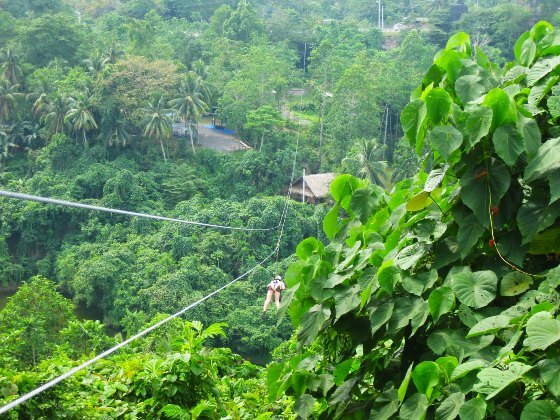 The zipline uses two cables which are entirely independent of each other, which are rated at 14,400 pounds tensile strength. The cables are multi-wrapped around a primary anchor supported with multiple 'typhoon-rated' guy wires attached to deadman anchors and is infused with a multiple redundant safety system that includes a backup system to ensure rider's absolute safety and protection. The cables and the other contraptions are Petzl, which are made in France and can carry multiple weights in tons. The three-break system consists of the primary, secondary, and fail-state break system at the end of the zipline to reduce any risk. The Xcelerator is certified by a U.S. instructor and uses 12 connection points with a comprehensive backup safety system, while the highest certified zipline in the U.S. uses only six connection points with no backup system. On-site rescue equipment is readily available in case of eventuality. In addition, Outland Adventure Camp has well-trained safety personnel certified by a U.S. instructor to respond to any emergencies. The jump-off site is situated on the highest point of the Outland area, overlooking Davao City. 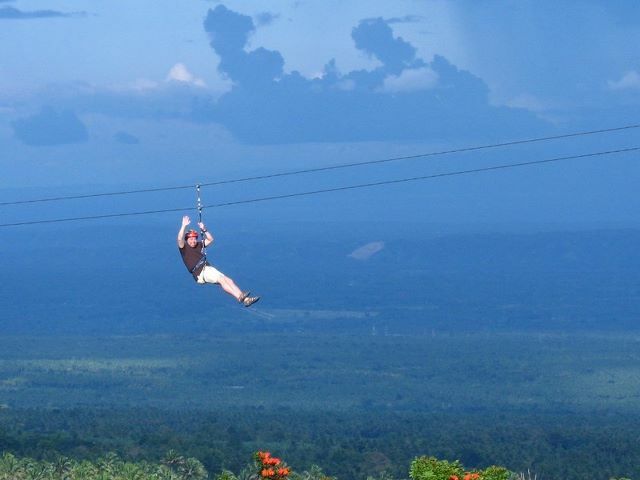 Zipline riders are required by the Camp to register, sign a waiver, pay a fee, after which riders are then given a number and must undergo a 15-minute orientation first before plunging into the zipline. After the brief orientation, riders traverse through a 20-30 minute walk including a river cross to get to the top of the mountain where the jump-off point is located. 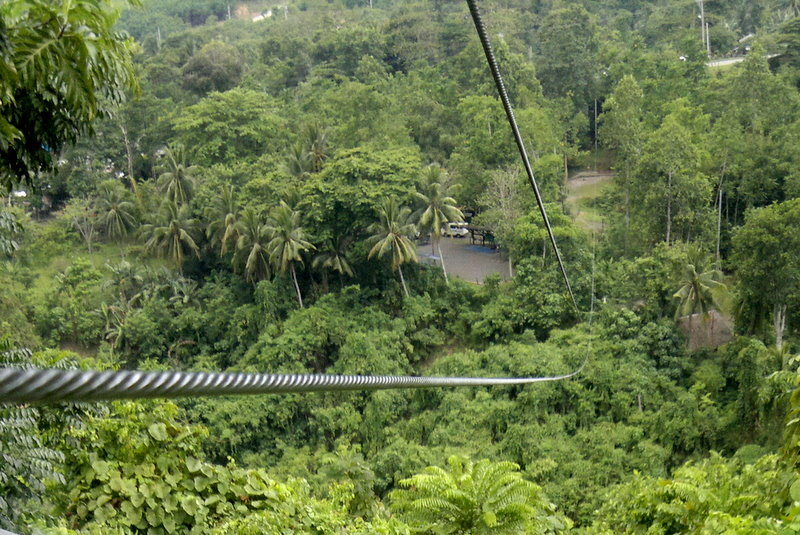 From the jump-off ramp, riders are then separately attached to both cables using a double connection-point harness system. The ride only takes less than a minute from one end to another with an average speed between 70-120 kilometers per hour depending on the rider's weight and the type of pulleys used. 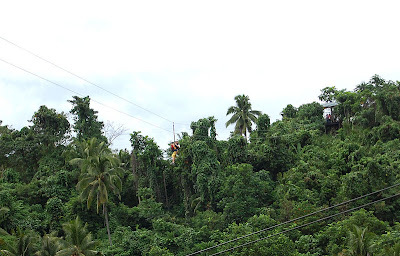 Unlike other ziplines in Davao City where riders usually halt on the ground, riders at the Xcelerator are stopped immediately before the end of the zipline and are left hanging until a safety personnel arrives with a movable ramp to fetch the rider. Outland Adventure Camp is not only an outdoor adventure but it also provides a unique adventure-based, non-competitive, team-building programs and courses that are designed to enhance teamwork, trust and communication among its participants. The courses provide challenging activities where trust, communication styles, problem solving ideas and different leadership skills are enhanced. Here, the participants learn by experiencing various coordinated challenges rather than the usual classroom lectures; exploring and expanding the range of their abilities in a supportive but challenging environment. The Zip lines are used in a range of sports from climbing to mountaineering, water crossing, and technical tree climbing. Adventure sports challenges have zip line courses as part of the high rope elements of the competition. 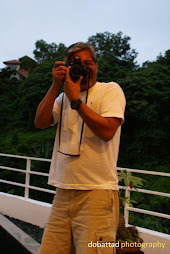 The foundation was established by the group of Mr. Matt McNeil, founder of Outland Adventure and designer of the Xcelerator, Davao Light and Power Company and the Aboitiz Group Foundation through the late Mr. Al Aboitiz who financed the entire project, and businessman Mr. Hans Gaisano who provided the 17-hectare property in the village of Bugac where the Outland Adventure Camp is now situated. 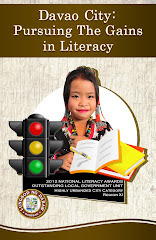 The Foundation was borne out of concern to the out of school youths of Davao City, and is intended to provide life changing courses in a specialized adventure-based programs designed to meet the many critical issues and concerns the youth face every day. Senior Outland staff members are certified Levels I and II by a U.S. instructor in accordance with the standards set by the Challenge Course vendors such as ACCT, Project Adventure, PRCA and Synergo. 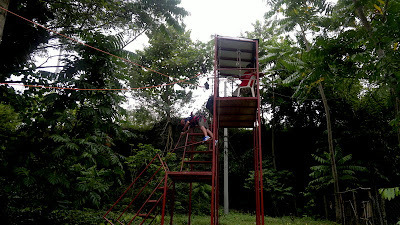 Mr. Matt McNeil is also the founder of AZTEC - Advocacy for Zip Line and Cable Access Technology, Inc.
Rate per zip ride is Php 500 per person, and a 50% Outland Adventure is open from Mondays through Saturdays at 8AM to 5AM, and on Sundays from 1PM to 5PM. 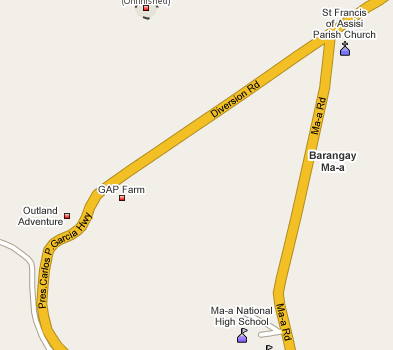 Outland Adventure is located along the Pan-Philippine Highway also known as Diversion Road at the end of Ma-a Road or Don Julian Rodriguez Avenue, just across the GAP Farm, next to the Laud shooting range. The entrance is near the Twin Rocks before going up the hill towards Dencios Hilltop Restaurant. While Outland Adventure does not offer shuttle service, it is only a few minutes away from downtown Davao City and is conveniently accessible by any private or public transportation. The environment the focus of attention is on the training need and the participants are able to concentrate on the Team Building Activities. Awesome pics! The place looks great and worth visiting,thanks for sharing it. 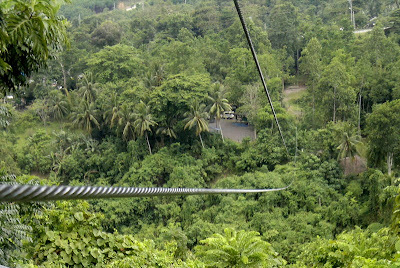 I would love to try zip line, I am glad there is a zipline within Davao City, but the price is too high for just 1 ride and with less than a minute. You have some great info here,thanks for sharing!I have a friend who has been looking adventure sports information. The description of the zipline is AWESOME and from the pictures, I'm sure that I will be scared to death to experience this adventure. I hope I can visit here soooooner!